A trained mind brings happiness; an untrained mind brings suffering. Our mind is like a wild horse carrying us in different directions, most of the time to our own detriment. We need to train and tame it so we can ride it in the direction that we want. MINDFULNESS is a wonderful strategy we can use to conquer this wild beast. Mindfulness is a mental state of being aware of what is going on within you and around you in the present moment. Mindfulness has scientifically been proven a powerful tool for productivity, healing and well-being. Originating from Buddhism, mindfulness has been taken on wholeheartedly by the West. It has grown exponentially in many areas of life from hospitals to schools, from sports to wellness, from individual practices to corporate management. While Western mindfulness-based approaches are beneficial in their own rights, they focus on the outer symptoms but do not address the underlying causes. Dealing with the roots of our deep unhappiness is the basis of Buddhism. HEART-MINDfulness reconnects mindfulness to its roots while making it relevant to modern daily life, easy to understand and simple to practice. To free yourself from underlying worries, self-doubt and deep unhappiness and to feel free like a bird soaring in the sky, you need two wings: a wing of loving kindness and a wing of pure awareness. Loving kindness is an altruistic and positive attitude to the well-being of yourself and others. It comes from the heart and manifests in your values, action and behaviour. Love gives life meaning and purpose as well as pleasure and happiness. The combination of the two wings enables you to face life’s ups and downs with more equanimity, encounter less stress and confusion and experience more joy and inner peace. Become more aware, alert and focused so you are more responsive, flexible and PRODUCTIVE. Gain confidence and dispel your fears or anxieties so you feel more at ease and find your PEACE OF MIND. Connect to your body, mind and spirit, and the world around so you will feel more ALIVE. Become present, engage deeply in your experience and savour the moment so you feel more FULFILLED. Listen to your body, heart and mind so you can take care of your health and increase your WELL-BEING. Develop your own INSIGHT and WISDOM so you can always deal with life’s challenges effectively. Develop communication skills to create better understanding and bring HARMONY to your relationships. Find your deep PURPOSE and reconnect to your VALUES so you don’t get lost in this busy and stressful world. Open your heart and mind so you can connect with your true self. Four Mindful Steps To Harness The Power of Your Mind for Inner Peace, Productivity and Happiness. Pause mindfully to release, relax and refresh - a guided meditation. 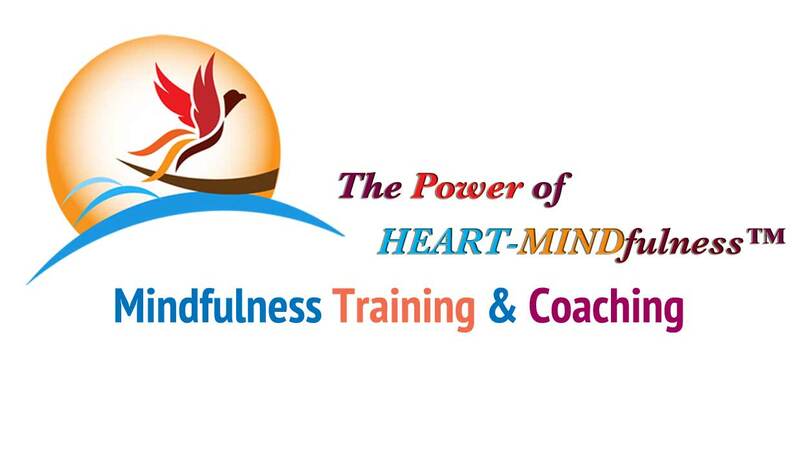 A series of online group coaching and training to help you get started on your HEART-MINDful Journey to wellness, success and happiness. Space is limited. Register your interest to be the first to receive special offers for the programme. Subscribe to receive our special offers, articles and tips.